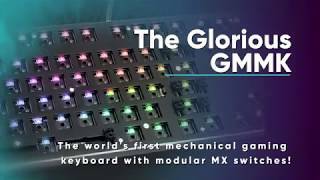 The Glorious 3XL is the ultimate extended mouse pad that supports both your gaming keyboard and mouse. The extended mat provides a solid base for your mechanical keyboard to reduce noise, movement, and improve your overall typing experience. It also provides you tons of movement space for your mouse - never run out of room again! Dimension: 1220x610x3mm - Fits both keyboard and mouse! (Long/XXXL size). Largest mouse pad in the world! More links for "Glorious 3XL Extended Gaming Mouse Mat (Black)"
Good bargain, feels like my Goliathus Speed. Well, it's huge, covers almost my entire desk. Surface feel and friction feels relatively similar to my old Large Goliathus Speed, which like the QCK+, is a 'middle-of-the-road' kind of deal. Not too fast, not too slow, low static friction (doesn't 'stick' too much), so thumbs up. And it's cheap, and doesn't look gaudy. Comes rolled in a box, and the left side needs some time and persuasion and pressure to settle down, but it's left side, so no big deal. I've heard the logo peels off rather easily, but meh. The stitching looks also similar to the Goliathus, which has been holding on OK, Not too worried about that.